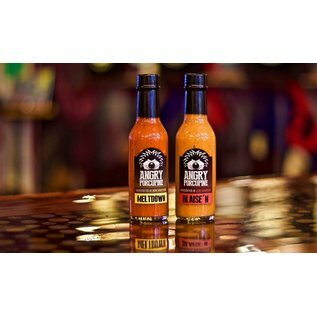 A uniquely sweet and spicy sauce that makes a bold addition to anything you douse with it. 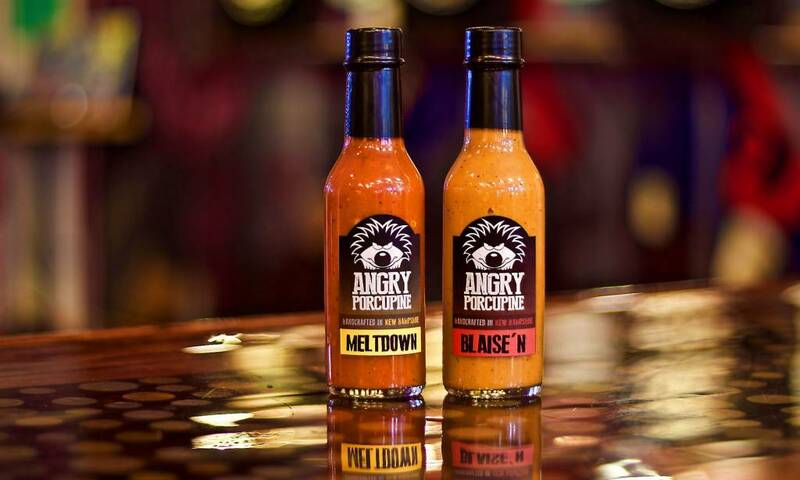 Every bottle of Angry Porcupine is handcrafted with fresh ingredients. Ingredients: Fresno Pepper, Tomatoes, Cider Vinegar, Apple Cider, Onion, Habanero Pepper, Garlic, Olive Oil, Lime Juice, Worcestershire Sauce (malt vinegar, molasses, anchovies, tamarind extract, salt, sugar, onions, garlic, spices), Cayenne Pepper, Salt, Black Pepper. Contains: Anchovies Made in a facility that handles peanuts, tree nuts, dairy, eggs, wheat & soy. Nutrition Facts Servings: 25, Serv. size: 1 tsp (5g/0.2oz), Amount per serving: Calories 3, Total Fat 0g (0% DV), Sat. Fat 0g (0% DV), Trans Fat 0g, Cholesterol 0mg (0% DV), Sodium 10mg (0% DV), Total Carb. 0g (0% DV), Fiber 0g (0% DV), Total Sugars 0g (Incl. 0g Added Sugars, 0% DV), Protein 0g, Vitamin D (0% DV), Calcium (0% DV), Iron (0% DV), Potassium (10% DV).